Tecno Phantom 6 Plus price in Pakistan is Rs. 39,999. You can read price, specifications, latest reviews and rooting guide on TechJuice. Tecno Phantom 6 and 6 Plus are the two flagship mobile phones by the company that redefines the premium for the brand in terms of price and features. With sturdy and classy build, which rivals the likes of Samsung Galaxy C5, along with the technical specifications, Tecno Phantom 6 Plus has proven to be a great device. 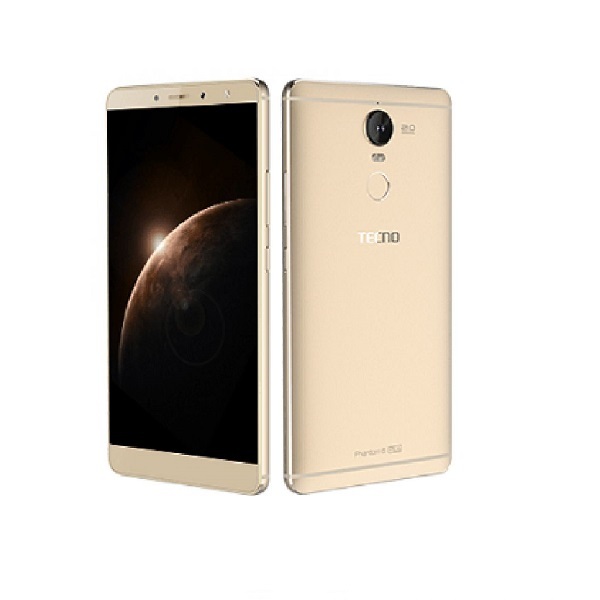 It can easily be called by far the best production by Tecno in 10 years of their manufacturing. Phantom 6 Plus comes with a 5 layer metal body, which offers more durability for the people prone to dropping their phones. The slightly curved back gives a firmer grip and every layer adds up a different, yet coherent element to the complete appearance. The Corning Gorilla Glass 3 not only protects the screen from a scratch here and a scratch there but also saves from cracks after a heavy fall. The phone offers a far better performance than many of its counterparts in the same price. Phantom 6 Plus comes with a Deca-core MediaTek Helio X20 chipset that is a beast of a processor for the gamers and multitaskers. It also saves battery up to 30%, despite providing high performance. Phantom 6 Plus has 4 GB RAM and 64GB ROM for data storage and effective multitasking; however, it does not have any room for external SD card, which may count as a negative sign. But, it has a Hybrid SIM setup that allows users to use one of the SIM slots as their card slot. There is a good news for heavy social media users or gamers that the phone comes with 4050mAh battery which will take users a full day of continuous usage without the need of a recharge. Unlike Phantom 6 which comes with two rear cameras, Phantom 6 Plus has only one 21MP Sony IMX230 camera, which delivers clear images in adequate light. The front camera also let users take nice selfies with 8MP and a dual-tone LED Flash, aiding a lot to low light images. The night-mode is also there to enhance photographs in low-light. - The latest price of Tecno Phantom 6 Plus was obtained on . - Buy Tecno Phantom 6 Plus online in Pakistan for the lowest price. There are different payment options for online buying. You can also avail the options of Cash on Delivery (COD) and Online Credit Card Payment on purchase of this product.